NABOB MARS III Two Courses to Station. Two courses to Station 500 x. 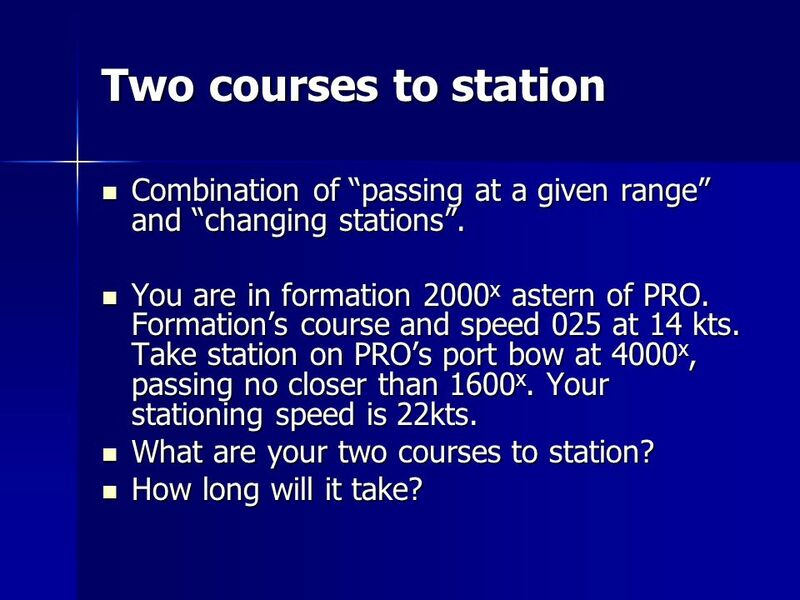 3 Two courses to station Combination of passing at a given range and changing stations. Combination of passing at a given range and changing stations. You are in formation 2000 x astern of PRO. Formations course and speed 025 at 14 kts. Take station on PROs port bow at 4000 x, passing no closer than 1600 x. 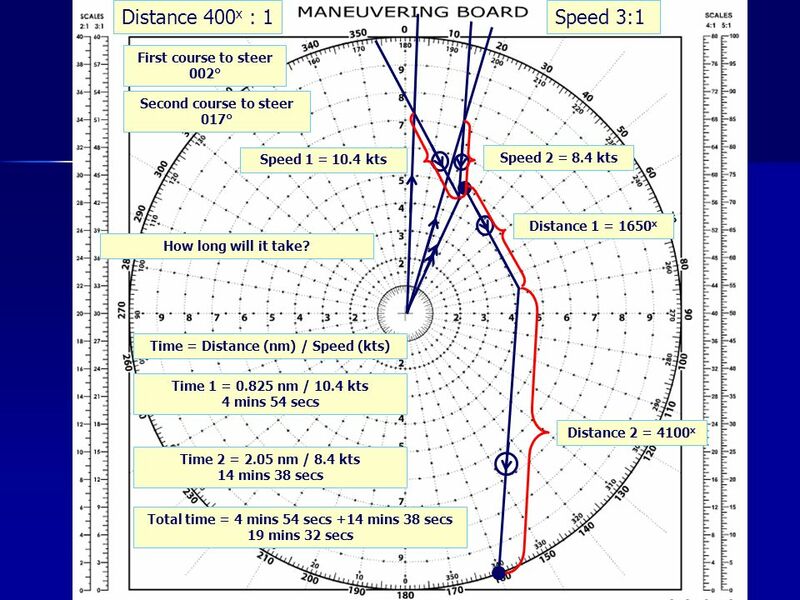 Your stationing speed is 22kts. You are in formation 2000 x astern of PRO. Formations course and speed 025 at 14 kts. Take station on PROs port bow at 4000 x, passing no closer than 1600 x. Your stationing speed is 22kts. 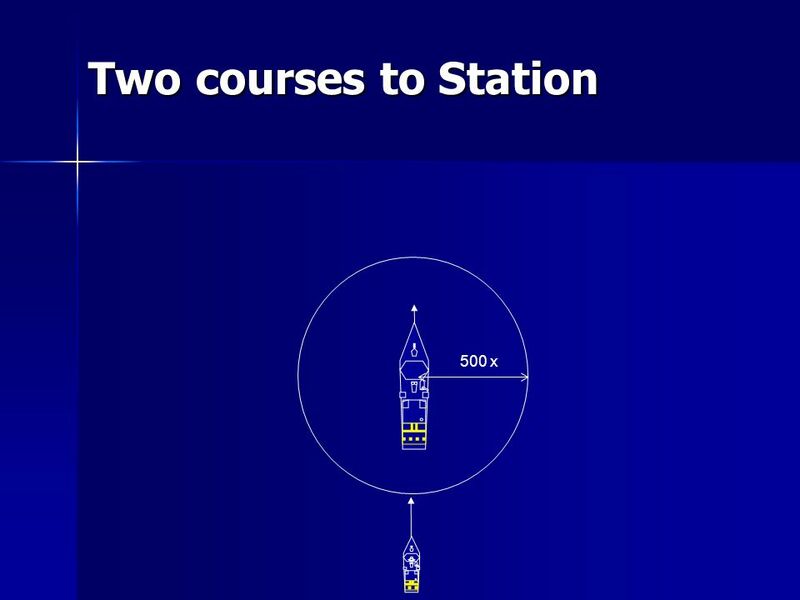 What are your two courses to station? What are your two courses to station? How long will it take? How long will it take? 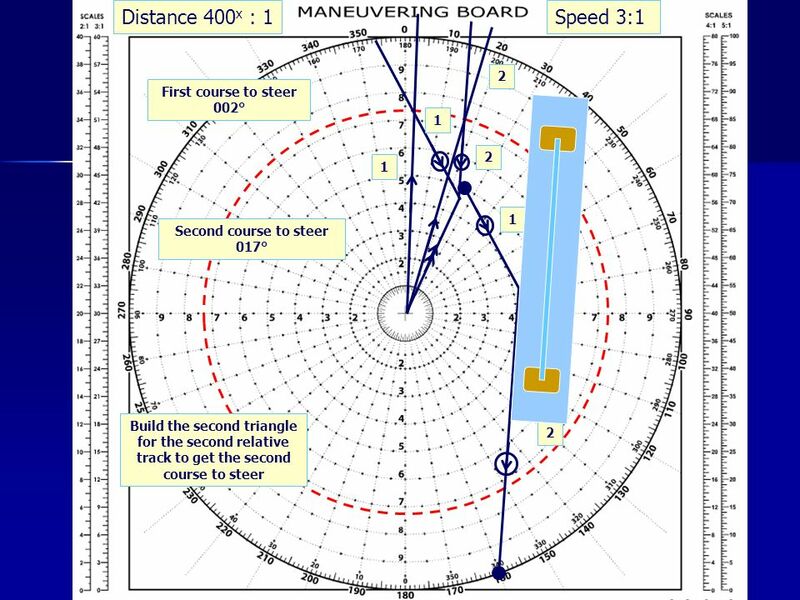 8 Two courses to station Guides course and speed 000° at 12 kts Guides course and speed 000° at 12 kts Your position 5 NM astern Your position 5 NM astern Take station 4 NM ahead of the guide coming no closer than 2 NM on its starboard side. Take station 4 NM ahead of the guide coming no closer than 2 NM on its starboard side. Stationing speed 20 kts. Stationing speed 20 kts. What are your courses to steer? 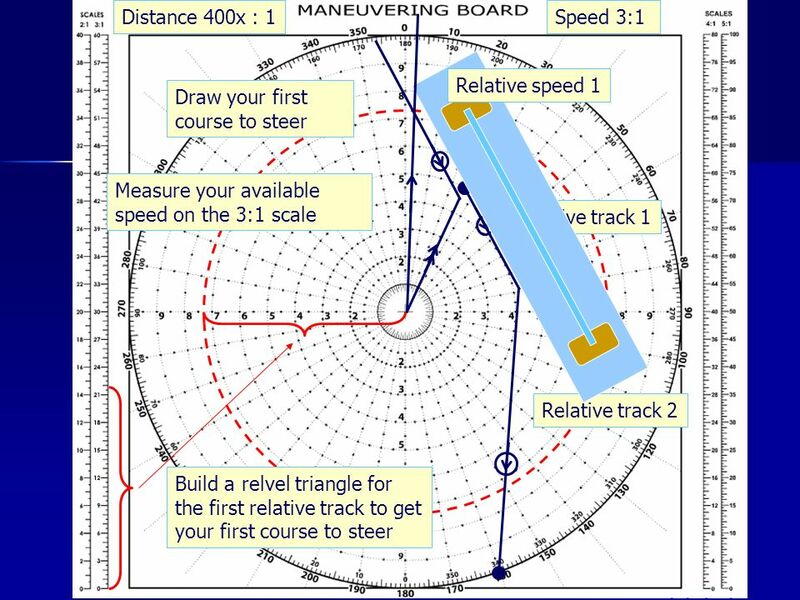 What are your courses to steer? How long will it take to get in station? How long will it take to get in station? 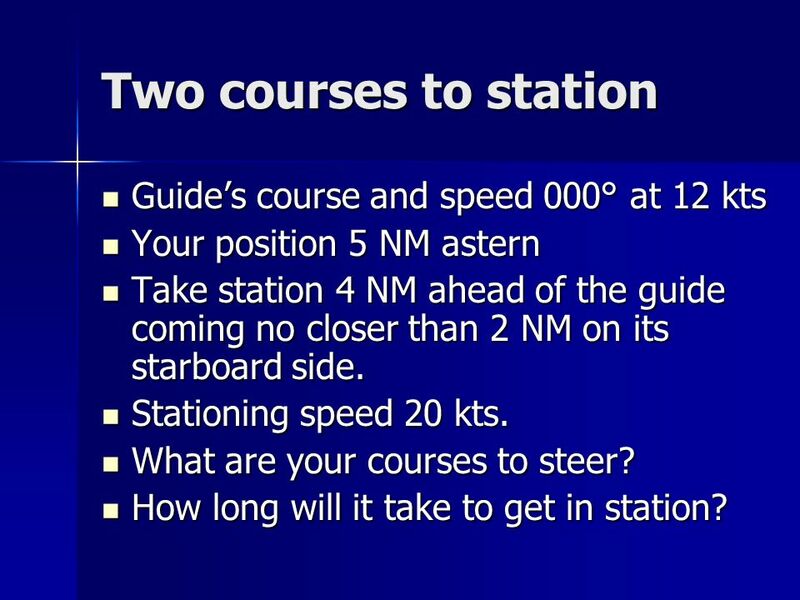 9 Two Courses to Station Guides course and speed 090° at 5 kts Guides course and speed 090° at 5 kts Your position is 1 NM on the guides stbd beam Your position is 1 NM on the guides stbd beam Take station 1 NM on the guides port beam using 15 kts and passing astern of the guide. You are to pass no closer than 6 cables to the guide. 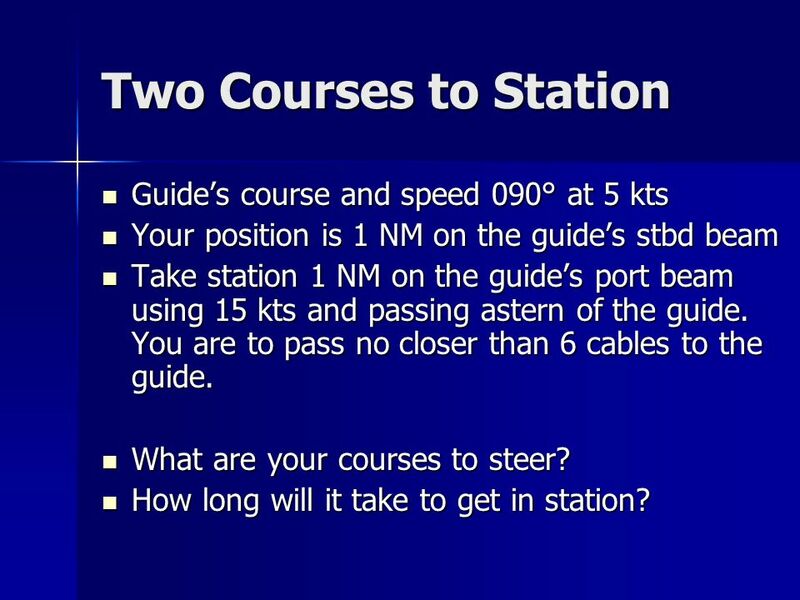 Take station 1 NM on the guides port beam using 15 kts and passing astern of the guide. You are to pass no closer than 6 cables to the guide. What are your courses to steer? What are your courses to steer? How long will it take to get in station? How long will it take to get in station? 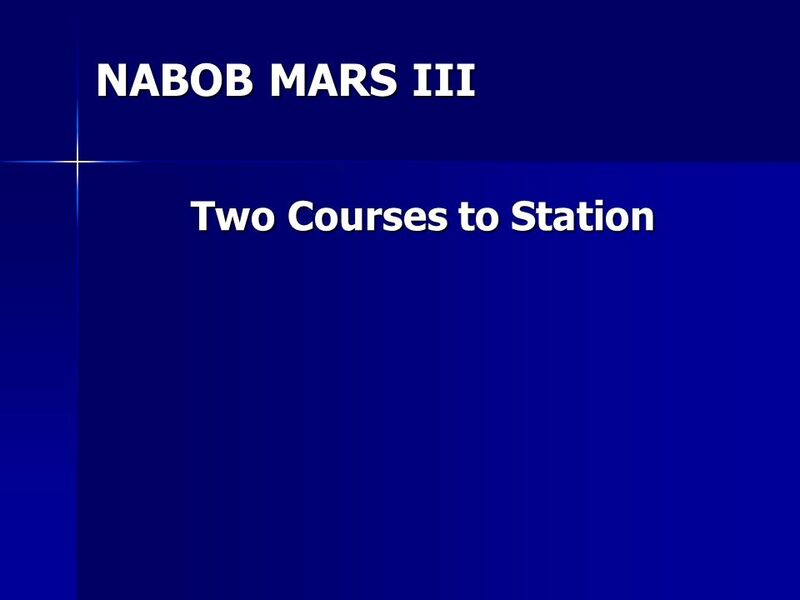 Download ppt "NABOB MARS III Two Courses to Station. Two courses to Station 500 x." 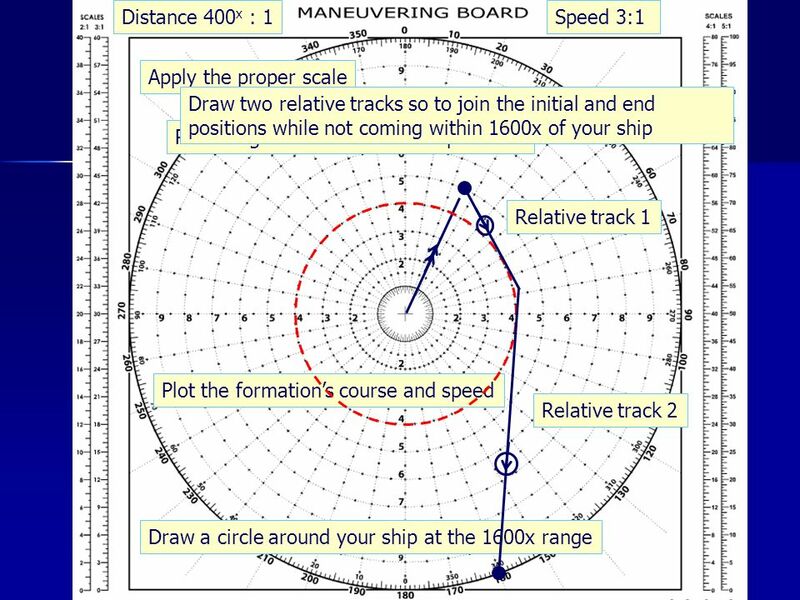 NABOB MARS III Passing at a Given Distance. 500 x.